With more than 20 years of experience in serving the coatings industry, CHINACOAT is gradually extending its lead over Asia and worldwide, helping exhibitors to gain market share and influence. Create a highly effective business environment for exhibitors to meet face-to-face with potential buyers, build marketing lists and generate qualified sales leads. Offer an ideal platform to present your products with live demonstration to influence purchasing decisions, build brand identity and develop new markets. Keep abreast of new products and trends, and to find out what competitors are offering in order to formulate your growth strategy. 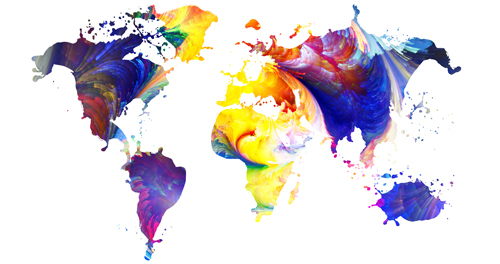 Asia is the largest and fastest growing market for global coatings industry and has been so for several years. Growth momentum is attributed to industry development in the region, as well as low per-capita coatings consumption. India and Indonesia continue to grow at strong rates. China posted a 6.6% GDP growth for 2018, while India is projected to be the fastest growing economy in Asia at 7.2%. The overall 2019 GDP growth within Asia is estimated at 6%. These figures show Asia remains key driver for global economic growth. On a global scale, the construction market, automotive market and industrial production are expected to remain steady in coming years. The coatings industry growth will continue to be led by Asia. The scale of YRD city cluster expanded from 16 cities to 26 cities in 2016, now the largest city cluster in China and the sixth-largest in the world. In the first half of 2018, its GDP growth was 7.2%, higher than the national average of 6.8%. The YRD region is the manufacturing engine for industries like construction, home appliances, automobiles, machinery manufacturing, transportation, containers, etc. Coatings are inseparable from these industries, thereby maintaining a huge and sustainable demand. Growing YRD economy provides positive market environment for medium and high-end coatings products. Coupled with rising purchasing power of consumer market, the coatings industry continues to gain strong growth momentum. Global coatings market is forecasted to witness significant growth owing to increasing demand in housing and infrastructure projects and thriving middle class in emerging economies. Rising disposable incomes and urbanization are driving demand for coatings in architectural, transport, automotive, electrical and electronics applications. Stringent VOCs regulations are likely to soar the demand for green coatings, such as waterborne, powder, high solids and UV/EB-cured coatings. Asia is the largest and fastest growing market for global coatings industry and has been so for several years. Growth momentum is attributed to industry development in the region, as well as low per-capita coatings consumption. Countries like India and Indonesia continue to grow at strong rates. China is anticipating to post a 6.4% GDP growth for year 2018, while India is projected to be the fastest growing economy in Asia at 7.3%. The overall 2019 GDP growth within Asia is estimated at 6%. These figures show that Asia remains the key driver for global economic growth. The scale of YRD city cluster was expanded from 16 cities to 26 cities in 2016. It is now the largest city cluster in China and the sixth-largest in the world. In the first half of 2018, its GDP growth was 7.2%, higher than the national average of 6.8%. Growing YRD economy provides a positive market environment for medium and high-end coatings products. Coupled with rising purchasing power of the consumer market, these factors continue to propel the growth of the coatings industry in the YRD region. Global coatings market is forecasted to witness significant growth owing to increasing demand in housing and infrastructure projects and thriving middle class in the emerging economies. Stringent VOCs regulations are likely to soar the demand for green coatings, such as waterborne coatings, powder coatings, high-solids coatings and UV/EB-cured coatings. NEW EXPOSTAR (SZ) CO., LTD.